Dr. Samer Mheissen: In the last decade, many interesting studies were published in the literature about the use of surgery to speed up biological tooth movement in the context of orthodontics. These procedures may involve Distraction of the periodontal ligament (PDL), Distraction of the dento-alveolus, Alveolar decortication, and Corticision. Some of these procedures add bioresorpable grafts to increase the bone volume. If we look at these studies from an evidence-based perspective, we will observe a bias inherent in most of them but that is not the subject of this post. Furthermore, If we concentrate on the design of these studies, we will find that most of them study canine retraction and this is good, hence there are three points to consider; First, we have cases with extraction of the first premolar, but what will happen if we do not need to extract teeth in the desired region of acceleration? Second, can we apply this acceleration to any tooth and in any situation? Third, what happens after the acceleration? The answeres to these questions are still largely a matter of opinion. In this figure, we see a corticotomy case with a bone graft in three successive time periods. In my humble opinion, I noticed from my own cases that the process of acceleration passes through three phases. The initial phase starts directly after the surgical procedure with the beginning of the acceleration. The second phase is the peak period where the acceleration reaches a higher rate and remains at steady rate for a period and in the third phase or the final phase the acceleration decreases and returns to the natural rate. Interestingly, I returned to Biology and researched the bone remodeling cycle after trauma or fracture and I found that the cycle consists of three distinct stages. The first stage starts with osteoblastic activation of osteoclast differentiation, fusion, and activation. The second stage or reversal stage begins after the formation of resorption lacunae, since the osteoclasts leave the area and mononucleated cells of uncertain origin appear and “clean up” the organic matrix remnants left by the osteoclast. This stage takes about 2-4 weeks, and the third stage is when osteoblasts begin filling the lacunae with new bone and this stage takes between 4-6 months. In my own comparison, I found the accelerating curve rather similar to the bone-remodeling curve in some ways. In other words, I found that the accelerating curve is identical to the reversed curve of the bone-remodeling curve. What does this mean?.. This means that if we decided to do the surgical acceleration procedure, we should be speedy enough in our treatment before the remodeling processes finish, and we should finish our intervention before the end of this process. Here, it seems to me, we should revise some concepts about applied orthodontic force, and try to direct the focus towards the “broken” bone instead of the periodontal ligament. Therefore, it seems that other interventions like arch expansion, cross bite correction, or leveling and alignment will be under risk of relapse because the formed bone (Callus) will be unorganized and would undergo remodeling over time to become more organized like the pre-fractured bone (the programming genotype). This new bone will be harder than the pre-fractured one, and will try to return to its main shape before trauma (micro-fractures). I wonder if the bone will return exactly to its original form, could our NiTi wires resist the bone forces, which push toward the genotype?.. With this in mind, will any relapse be worse after expansion performed under acceleration? To further clarify, I noticed one case of piezocision where there was considerable relapse of the expansion and the tooth alignment, which occured right after the removal of the TPA! Finally, my personal opinion is that orthodontic tooth acceleration is a good and promising idea, but we need further research to study all the effects of such surgical procedures; Effects such as root resorption, trauma and other iatrogenic effects, and even more interestingly, the effect of these procedures in combination with other treatment modalities, as well as long-term stability. Do you have experience with Orthodontic Tooth Acceleration procedures?.. Please share your experience and comments regarding this topic with us in the comments section below. 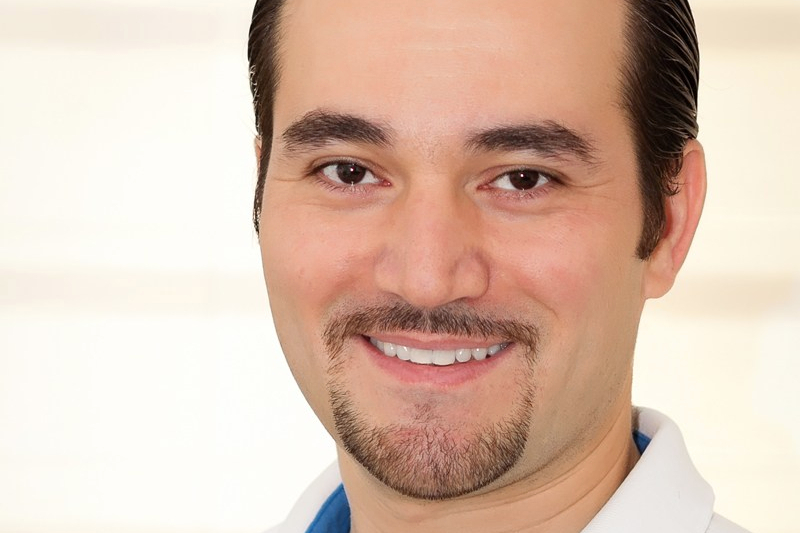 Dr. Samer Mheissen currently works in private practice in Damascus, Syria, and is the Section Editor for the International Journal of Contemporary Orthodontics. He was a Supervisor for the Specialty Program in Orthodontics, Ministry of Health, Dara’a directorate in Dara’a, Syria uptil 2012 and has recieved the “Introduction to Systematic Review and Meta-Analysis by Johns Hopkins University on Coursera” certification. He has published several articles including a textbook entitled ” Examination of Muscles of Mastication” , in Arabic, and has two patent-pending inventions (MMI and MC2C) in the orthodontic field. Next ›There’s Something About MDP (Mobile Dental Photography)!..